When a gas turbine bearing fails, it can take your entire plant with it. While all outages can’t be eliminated, bearing-related uncertainty can be mitigated through pro-active planning with the right partner. MD&A Bearings, Seals & Hydraulics Division has proudly served as a partner to our clients for nearly three decades. Rapid-Spares bearing exchange removes uncertainty from the bearing refurbishment process during critical outage intervals by giving customers the assurance that their bearings are ready to ship, in many instances, even before an outage begins. 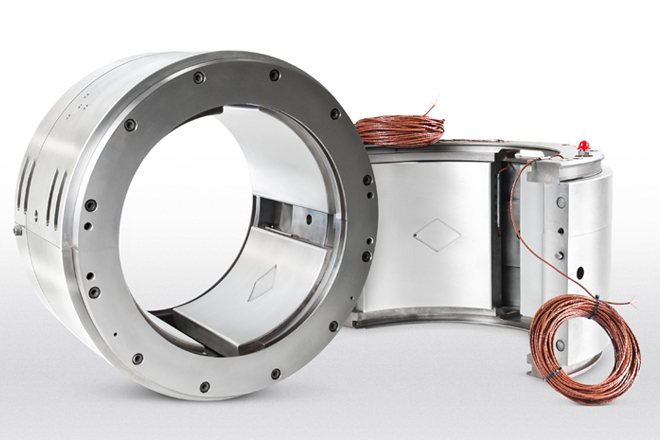 We maintain a new, identical, Rapid-Spare combustion turbine bearing in our inventory for you, eliminating uncertainty, excess costs and freeing up your plant personnel to address on-site critical path items. How does the Rapid-Spares program work? Whether you’re experiencing a forced outage or it’s simply time to overhaul your turbine, MD&A first visits your location to conduct a full design survey validation, at no cost to you, while the unit is open. During this evaluation, we measure and record all critical bearing data. These physical measurements and unit-specific information are then cataloged and used to create drawings for production and future reference. Then, partners in the Rapid-Spares program simply notify MD&A when their next outage occurs and then ship their damaged bearings to us. Upon receipt, we will immediately match our Rapid-Spares inventory with your inbound items. We then verify cataloged dimensional data, part numbers and other critical unit-specific information. Following the validation of records and physical dimensions your new spare is promptly shipped back to you. Rest assured that spares are delivered on time, as expected, every time. No extended wait time and no extended downtime.